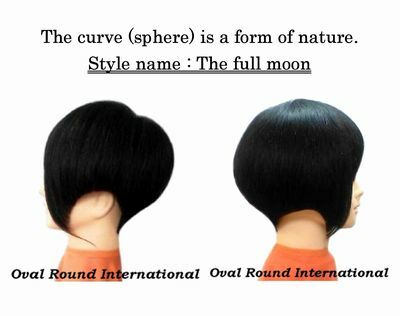 ★Oval Round (circle) Hair Cut Technique based on the Law of the Circle(a Spiral) of Nature!! ★ Earth, the sun, the moon are round spheres. And the shape of the galaxy is spirally rounded around one point. Also in plants, there are many round spheres made of natural, such as apples, oranges, watermelons, etc. And the shape of the customer's head is a rounded egg shape, and the whirling is rounded like a spiral shape. I am convinced that taking the round section from the center of the head (G, P) along the shape and flow of the head, cutting with a round layer cut and round gradation cut is the best haircut technique.